18+ New players, min dep £10. £60 bingo tix + 20 Spins on Starburst. [wins capped at £5, WR: 85x(bonus)]; 8 tix to "£2,500 Real Cash" (real cash wins). 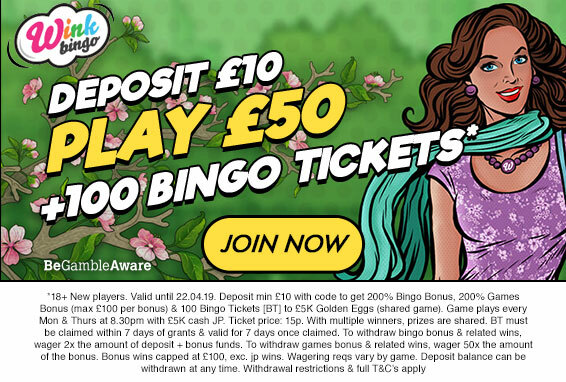 20 tix to "£50 Daily Treat”: [WR: (4x bingo bonus)]. Games Bonus wins cap: £400 + the initial bonus amount. Deposit balance can be withdrawn at any time.T&Cs apply.